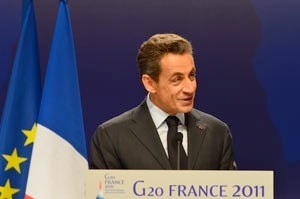 The first message of the G20, sent by President Nicolas Sarkozy focused on Europe, "which has made every effort to provide a credible response to the crisis. 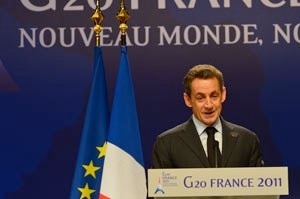 It was essential that the united Europe comes to the G20. We also have the unanimous support of our partners and I think we have made progress in three key areas in the implementation of the Agreement of 27 October. The first point is the firm position of Europe in the area of Greece, which gave rise to the collective awareness of the issues vital to the future of this great country. Second element of the European crisis, I would like to commend the efforts of Italy, which took steps to revive confidence, balance the budget by 2013 and enhance its growth. Italy is a key country in the euro area, one of the largest economies in the world and I welcome the decision of Italy to appeal to the European Commission and the IMF to certify the results achieved, on a quarterly basis, with results that will be published. 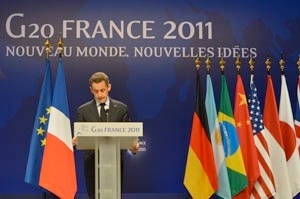 Finally, we are committed to strengthening the IMF's resources if the need arose. And we have put in place the conditions to achieve this goal. The IMF needs to fulfill its role as a bulwark against systemic risk, finance ministers at their next meeting in February, were instructed to deploy multiple options to get to the strengthening of these ways: SDR allocation, bilateral loans to IMF, IMF special accounts. We have not decided between these different forms, but the direction is this: strengthening the capacity of the IMF. " 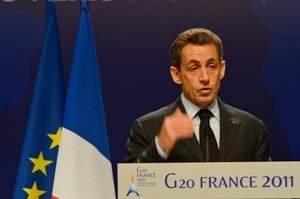 The second message of the G20 concerned the use of all the leeway to support growth. 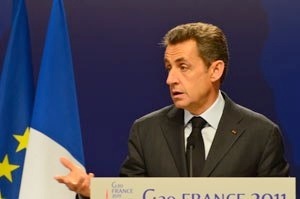 According to Nicolas Sarkozy: "The situation is actually much more complex than in 2009, there is no single answer. Washington and London, it was "all-out recovery." Toronto was "able to reduce all-out". 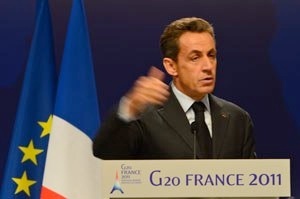 Cannes is the differentiation of situations in different countries and stated in the final communique that countries whose fiscal position is strong, I think about China, I think of Germany, these countries will be the automatic stabilizers and are ready to take further measures to promote growth. We are therefore left with the status quo of Seoul which gave rise, you will recall, an opposition between the countries on this issue. Moreover, countries with large external surpluses are committed to increasing domestic demand and accelerating the flexibility of their exchange rate regime to reduce medium-term accumulation of foreign reserve. You see very clearly the great country that has made these commitments and that's great news. Finally, and this is a great innovation, the action plan for growth takes full account of the social dimension of globalization. This is the first time that the G20 countries, including emerging markets, indicate their willingness to establish bases of social security. 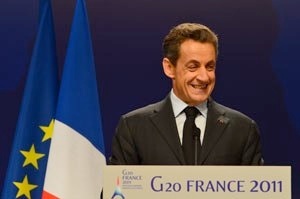 And also, there is a commitment of all the G20 to say that social protection, the social model, the level of protection is favorable to growth and is not incompatible with growth. I think this is the first time an international summit shows so clearly the objective that a high level of social protection is conducive to growth. 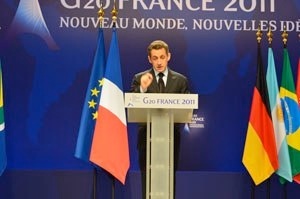 The last message was developed on the progress on financial regulation. The President said: "We decided to publish, and finally the Financial Stability Board will publish today a list of 29 major banks the international system, we decided that they will be subject to transparency requirements and increased regulation . Second element, the publication by the global forum of 11 countries we consider to be tax havens: Antigua and Barbuda, Barbados, Botswana, Brunei, Panama, Seychelles, Trinidad and Tobago, Uruguay, Vanuatu does not have to a legal framework for the exchange of tax information. 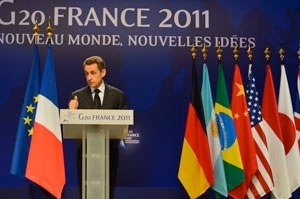 We do not want to tax havens. The message is very clear. We do not want more. And the remaining countries of tax havens, with the cover-banking will be ostracized by the international community. Things have progressed, they must make further progress. 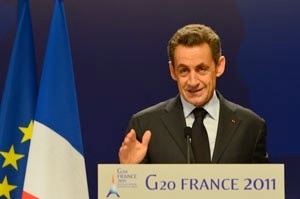 I said that Switzerland and Lichtenstein have not qualified in phase two as they will not remedy certain deficiencies identified. The credibility of all commitments against tax havens is the systematic publication, each of our summits, the list of countries that will not be what it takes to get out of an unacceptable behavior. We are not committed to tolerate this. I would ask you to remember in London, 3 years ago, I had to threaten to leave the room [if we did not publish] a list of uncooperative jurisdictions because at the time we do not even pronounce word "tax haven". You still see the progress that has been initiated. 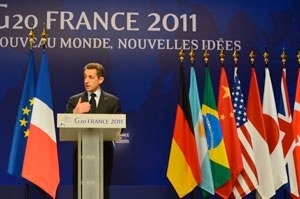 And finally, we decided to reform the FSB to transform it into truly global organization of finance. 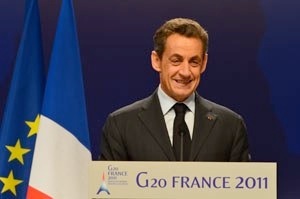 Legal personality, budgetary autonomy, ability to enter into agreements with other organizations, expansion of its executive committee to the Treasury of the major financial centers to ensure the implementation of decisions of the G20. 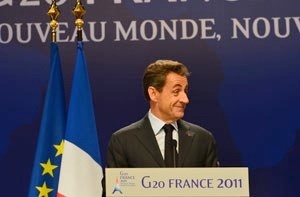 On the international monetary system is a long-term project, when France was put on the agenda, it had caused a lot of skeptical comments. Today everyone believes that it is the site of next year. So we set a framework for the management of capital flows, the use of capital controls, and this is very important, is now accepted as a measure of stabilization. There was an error that was to see and do a comparison between free trade and free movement of capital, capital controls may be necessary and is recognized as a stabilization measure. It is also the review of the SDR in 2015, which will accommodate new currencies. The yuan is an obvious candidate, given the commitment that I welcomed, from China to a gradual convertibility. Reform of IMF surveillance to expand to new topics: exchange rates, capital flows, contagion, it is changing significantly the missions of the IMF. Finally, new instruments of the IMF line of short-term liquidity to deal with systemic shocks. 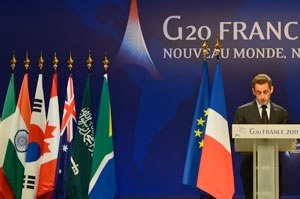 On agriculture, is the first time that the agricultural issue is on the agenda of the G20. It was really an issue that was not spoken. The increase in production is essential to feed the world. Transparency in agricultural markets. We got the regulation of commodity derivatives markets. There is an agreement to regulate these markets and market players to fight against market abuse and especially to empower supervisors to set position limits to prevent a single player to manipulate prices by buying or sales of proportion. 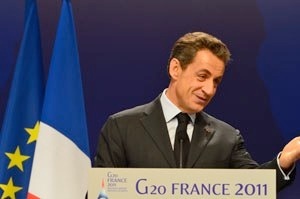 When we started with Bruno Lemaire and Francois Baroin we did not think that could happen to such a result in a summit of this nature. Finally, the Community stocks of emergency and the ban on export restrictions for purchases of food programs. Development: Innovative Financing and infrastructure. Innovative financing is in the final communique, with a reference, explicit, to the tax on financial transactions. There is a desire of a number of countries to bring out innovative financing and the reference to the tax on financial transactions of the release, they are there. Where do we stand on this? There are now a number of countries that joined the battle of France. I recall that when France initiated this battle, France was absolutely alone. Today, apart from France, the European Commission, Germany, Spain, Argentina, the African Union, Ethiopia, South Africa, the Secretary General of the United Nations and Brazil told us his interest in the process support the principle of a tax on financial transactions. 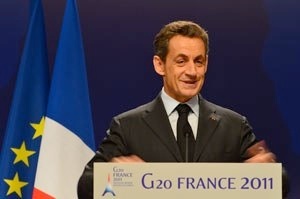 And the text of the declaration said, the G20 acknowledges the initiatives of some member countries to tax the financial sector for various purposes, including a tax on financial transactions to support the development. You can not imagine the struggle that represents such a tax. 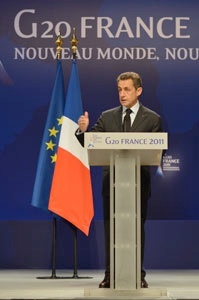 Let me be very clear, France considers that to be the appointment of development issues must be innovative financing, given the state of deficit countries as a whole. And we said in the statement in the report that Bill Gates there are a number of innovative financing and that each country agrees to take at least one in all of the innovative financing. Second element, we consider as morally imperative that people of the world know that the leading financial players in the world through which we know will be asked to contribute financially to repair the damage that has been created. That, subject to the tax on financial transactions. So, the project of the European Commission, which is the only concrete project on the table and demonstrating the technical feasibility of a tax on financial transactions, shall be subject to discussion before the Council of Ministers and Heads of State governments from the beginning of this year. 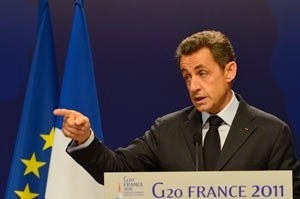 France will fight for this tax becomes a reality and France consider waiting the rest of the world adopts such a tax is not a sufficient argument to reject the implementation of this tax. Clearly we will do everything to build on public opinion in each country to achieve this result. I would add that I was pleased with the availability of Barack Obama on the principle of the financial sector's contribution to resolving the crisis. It does not extend to a tax on financial transactions, but its willingness to consider the contribution of financial players out of the crisis. "